Hey guys! 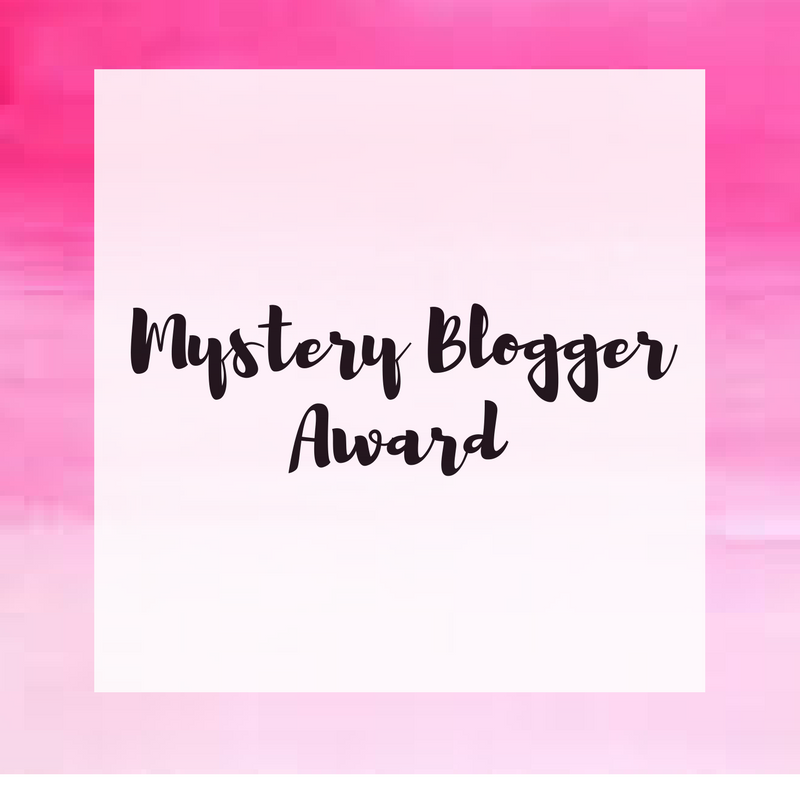 I was tagged to do the Mystery Blogger Award so here I am. I love posts like these because it gives my readers a chance to learn a little more about me and it also gives me the chance to learn a little more about my fellow bloggers! First off, thank you Luxe Budgetnistas for the nomination, I’m so glad you chose me to participate in this! Of course, a huge thank you to Okoto Enigma for creating this award, it’s awesome! 1. I hate fruit, but I love vegetables! 2. I’m a huge anime fan and I have been since I was young. 3. I have a huge heart. There aren’t many people who I let into my life, but the ones I do, I care about deeply. 1. Who has inspired you through your blogging career? Does saying I inspire myself make me sound like I’m full of myself? I found myself through blogging and my biggest inspiration is myself because of it. I know that if I keep pushing myself to write and create, I’ll continue to learn more about myself and that makes it all worth it for me. 2. If you had to choose one food to eat for the rest of your life, what would it be? Breaded chicken cutlets are life, but I’ll cheat and throw in churros as well because, duh. 3. What songs have you completely memorized? I love music and singing and if you know me, you know that I sing all day long. I’ve pretty much memorized every song I like, it doesn’t take me long to learn a new song. 4. What movie, book, or TV series would you live in? I don’t think there’s any I would ideally like to live in to be honest. 5. What’s something you like to do the old-fashioned way? I guess writing myself notes. I know a lot of people use their phones for little notes to themselves and to mark their calendars, but I prefer writing things I need to remember out on paper. 1. What’s the most important lesson you’ve learned through blogging? 2. What’s one trend you’re sick of seeing? 4. If you could have any animal in the world as a pet, what would you pick? 5. What’s one item you can never have too many of? Feel free to participate ladies! I can’t wait to check out your answers! Once again, I’d like to thank Luxe Budgetnistas for nominating me and Okoto Enigma for creating this award! Thank you so much for nominating me! If I hadn't done this award recently, I would totally answer your questions. I was so excited to read that you were an anime fan! What are you currently watching :)? Are you an anime fan too?! Right now, I'm watching the new Dragonball Z series, Dragonball Super! hahaha everyone thinks I'm weird when I say I don't like fruit!